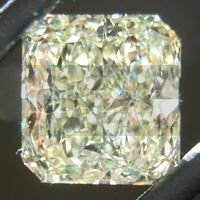 Four carats is a major league size for a diamond. 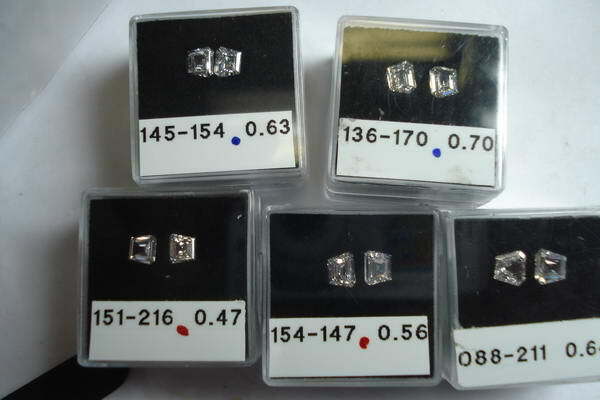 Many four carat diamonds start at $100k. 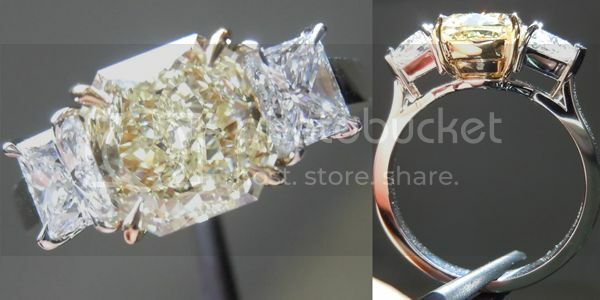 That kind of makes this VVS2 look reasonable. 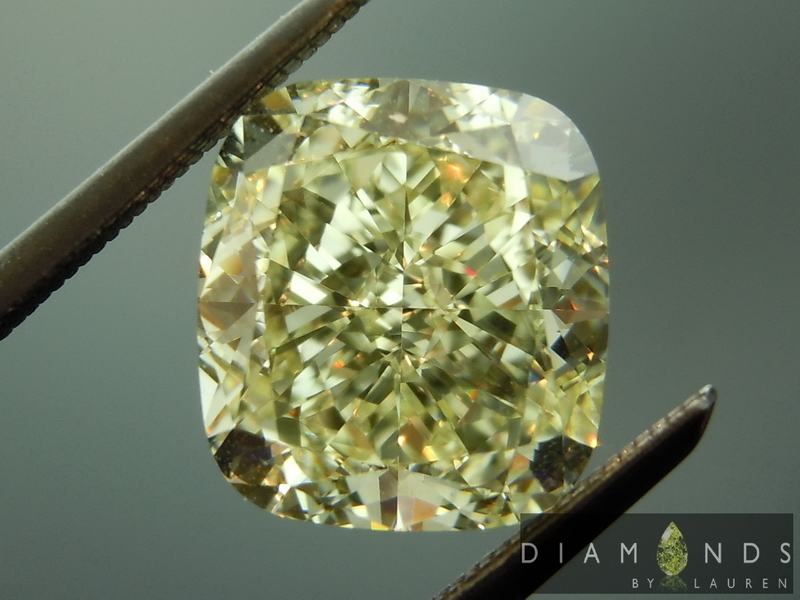 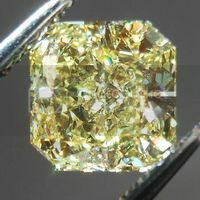 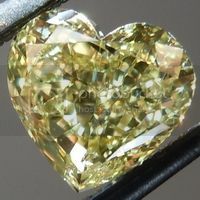 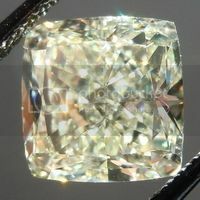 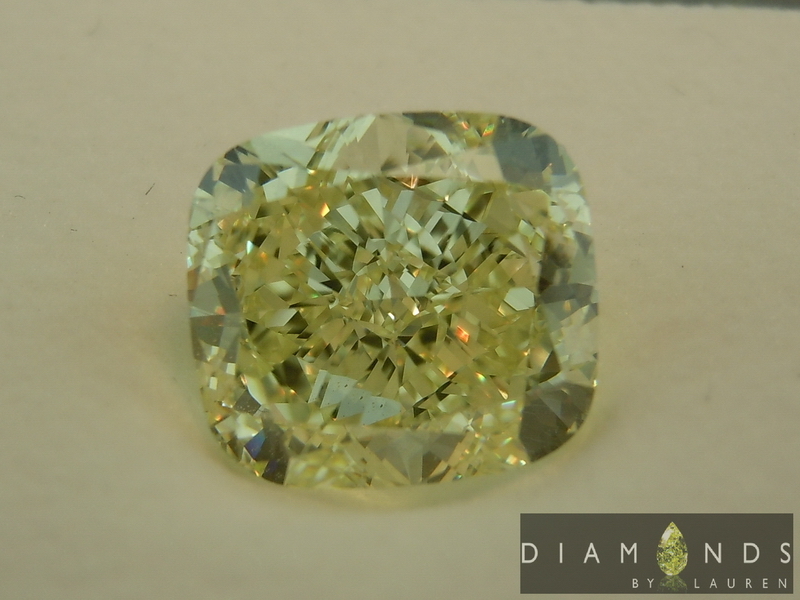 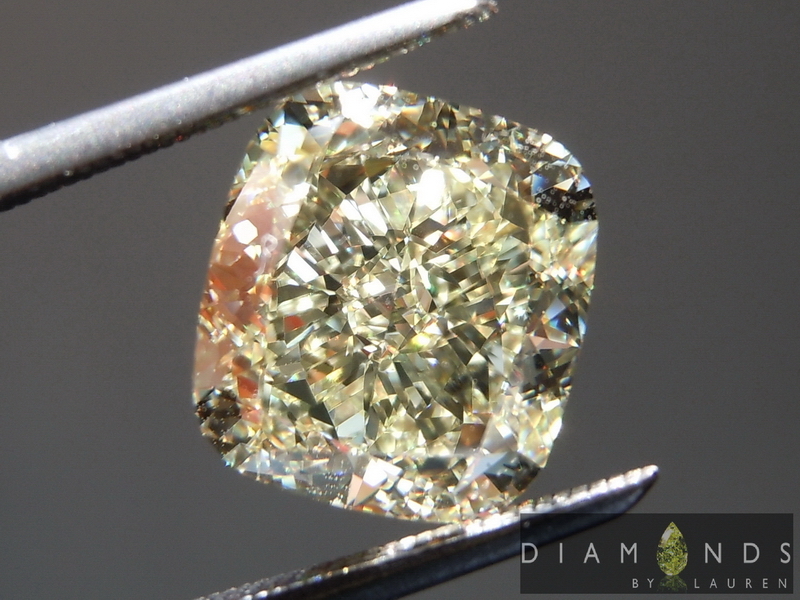 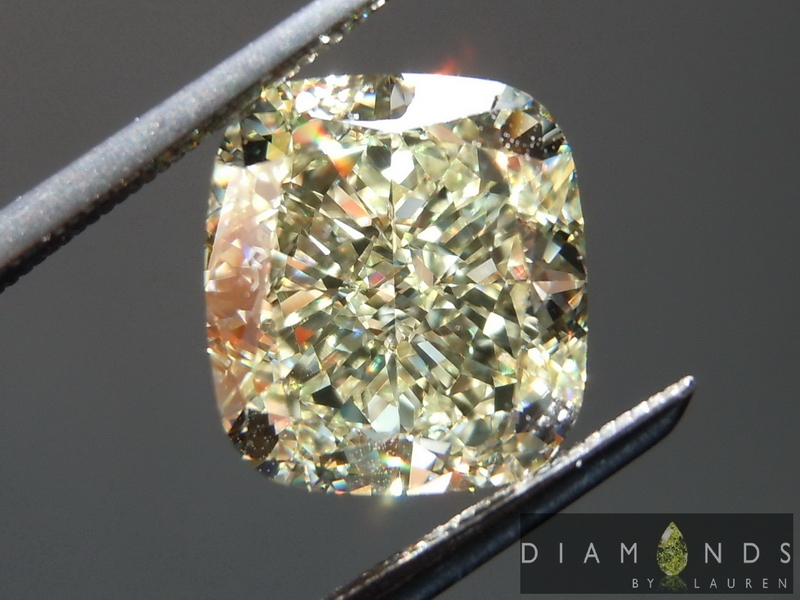 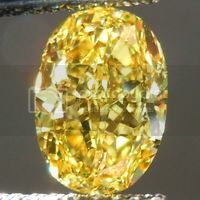 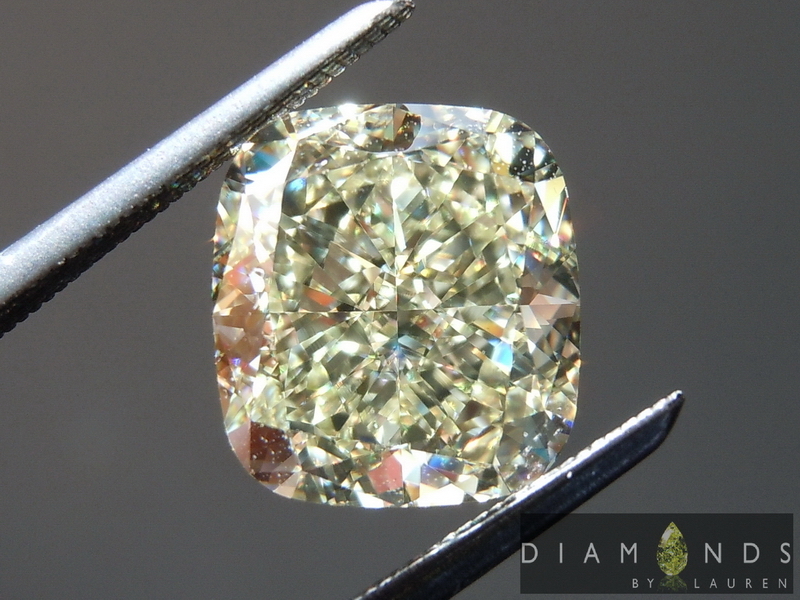 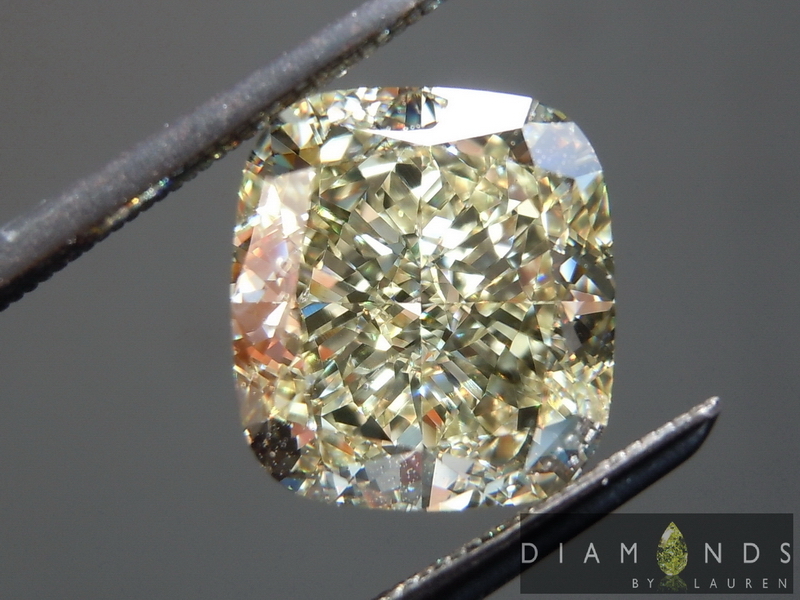 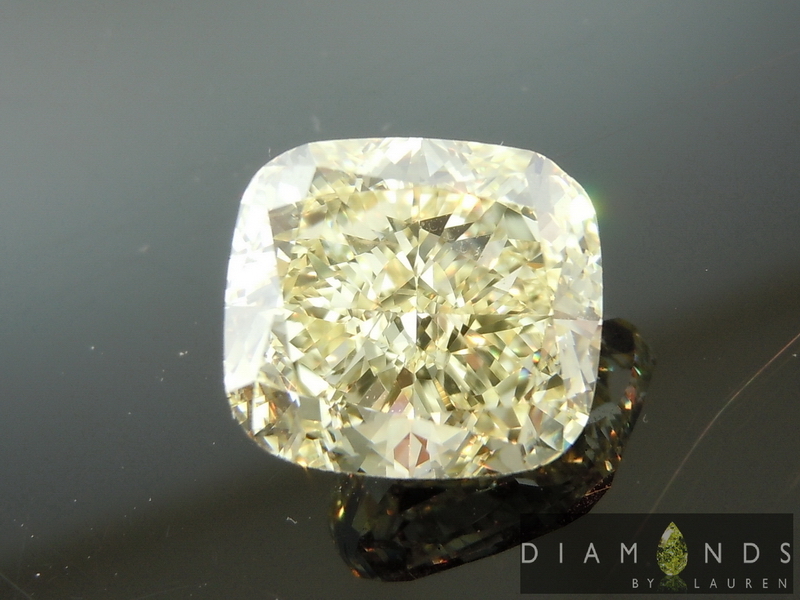 The color of this Canary Diamond is "Fancy Light Yellow" as graded by GIA. 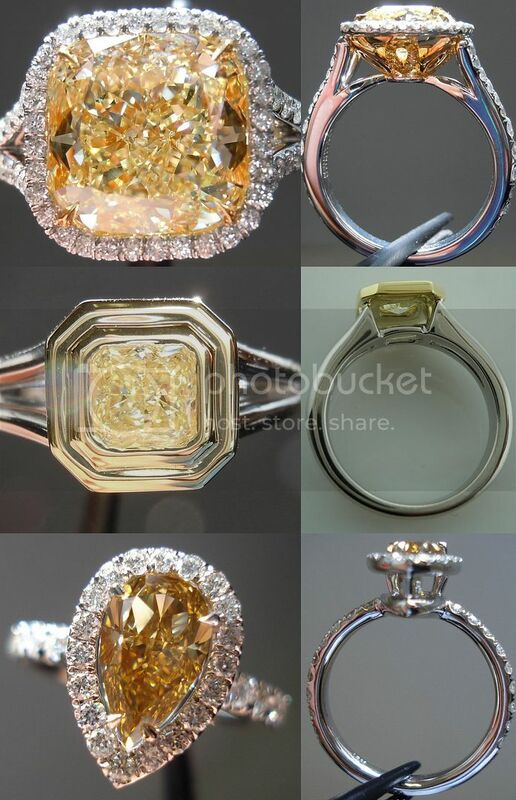 It's a perfect example, it does look lighter than a Fancy Yellow. 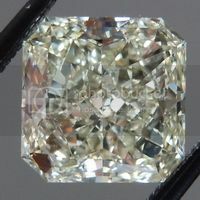 For many people this is a positive, regardless of price. 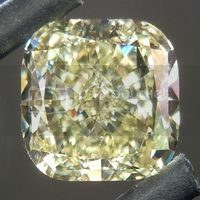 Very sweet Cushion cut on this one. 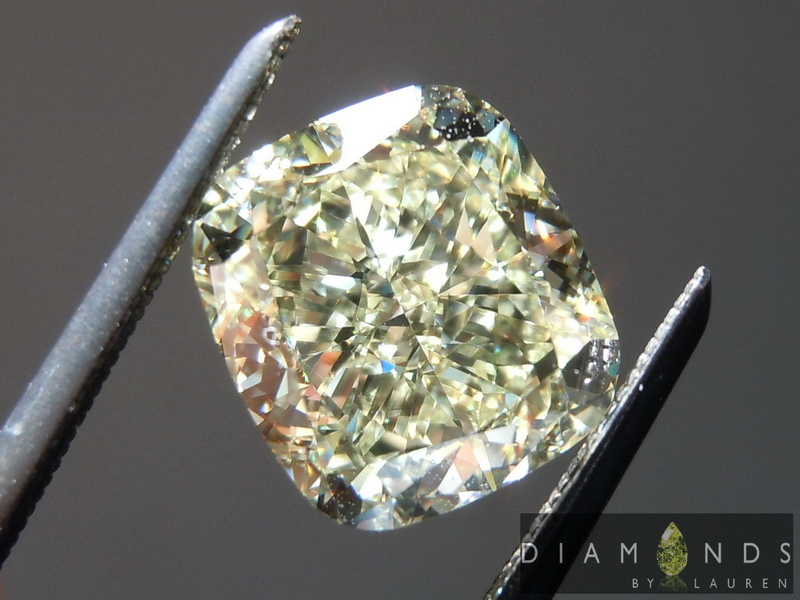 Even, bright sparkle, and organic shape. 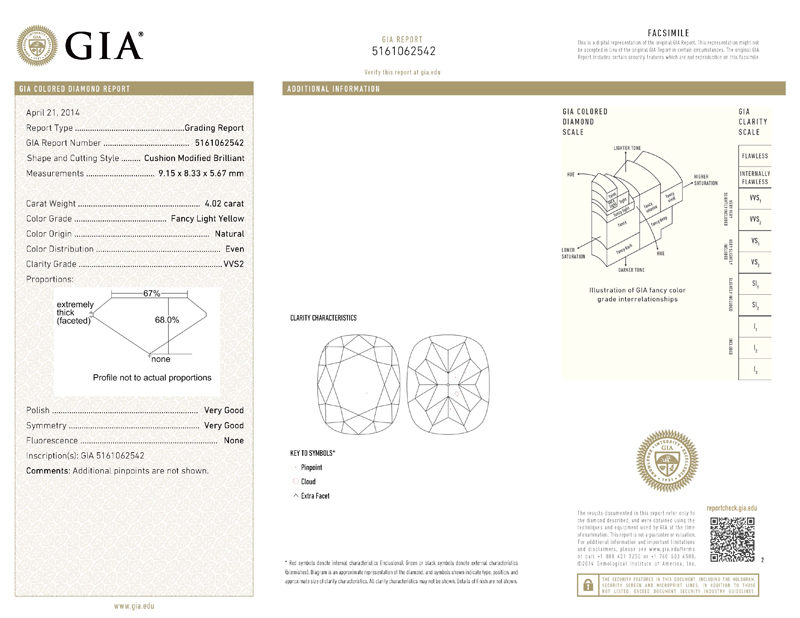 Please contact us for setting ideas.